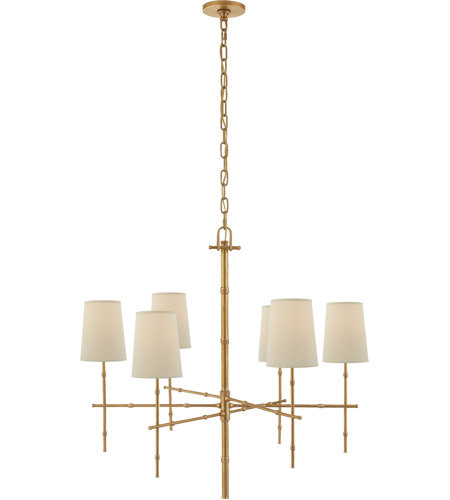 Grenol Medium Modern Bamboo Chandelier in Hand-Rubbed Antique Brass with Natural Percale Shades. 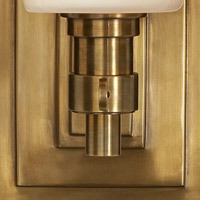 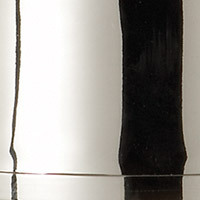 All Visual Comfort fixtures feature a living finish that will patina over time. 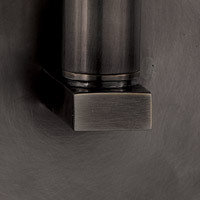 Finish colors can vary due to application per each fixture.